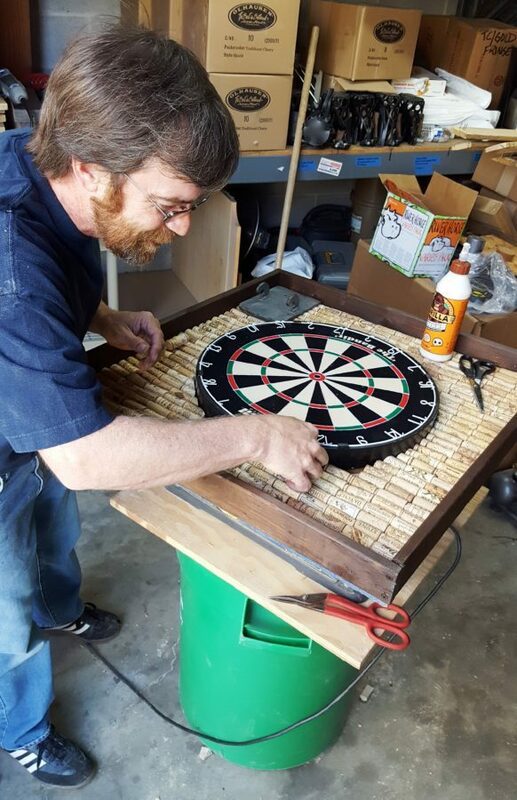 Reclaimed Recreation dart board back with English dart board. 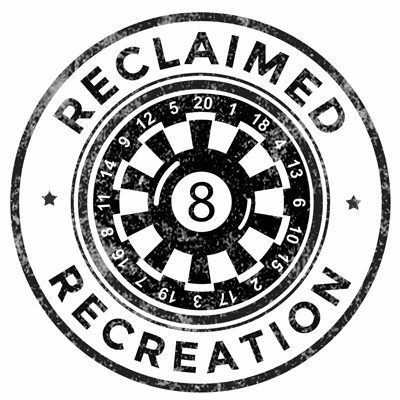 Custom made for our Reclaimed Recreation line . 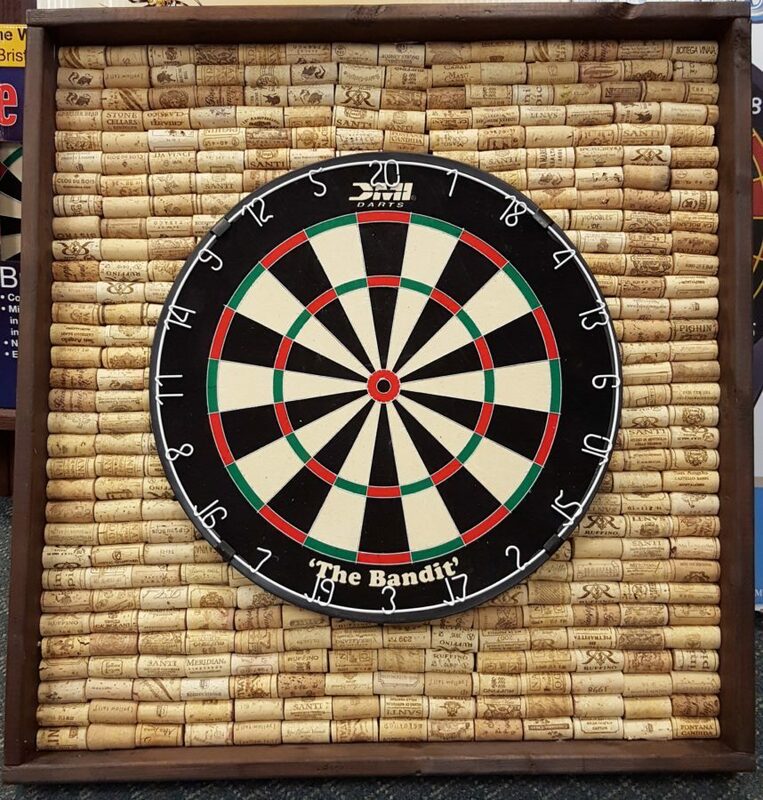 . . a gorgeous dart board back with wine corks. Includes the Bandit English board.